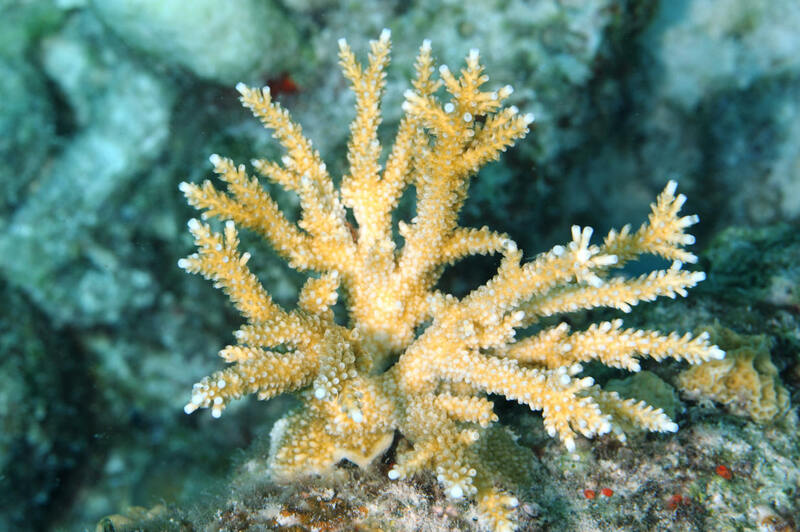 Acropora cervicornis, one of two Staghorn Corals of the tropical Western Atlantic. To eight feet in height, branches to more than an inch diameter. 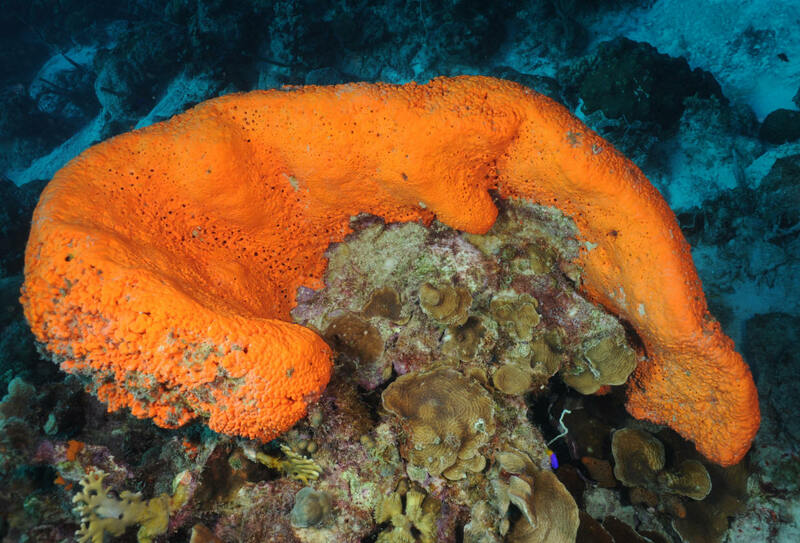 Bonaire 8/09. Anamobaea sp. 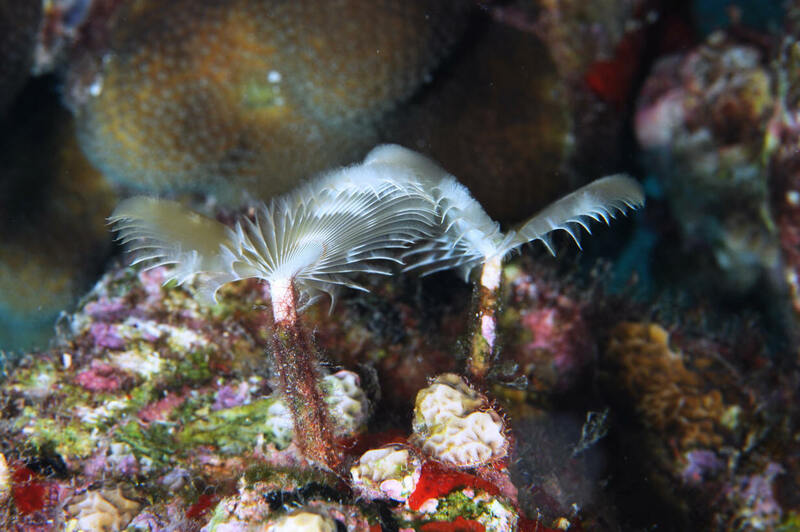 Ghost Feather Duster Worms. 3/4" diameter heads.Centers of pale brown and three rings of light purple bands. Parchment tubes found in clusters in shallow sand. Bonaire 8/09.